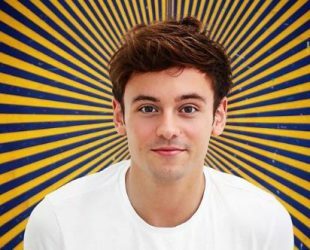 Tom Daley was born in 21 March 1994 in Plymouth, England. Is an English diver. Specialises in the 10-metre platform event. and is a double World champion in the event; he won the before regaining it in 2017. He was the 2012 Olympic bronze medalist in the event. Club: Plymouth Diving Club, London High Performance Centre. Award(s): FINA World Championship in the individual event at the age of 15 in 2009. Olympic bronze medalist in the event in 2012.